The end of August doesn’t seem like the best spot to dump all three episodes in the three-part history “The Life of Muhammad” (PBS, 8 p.m.). 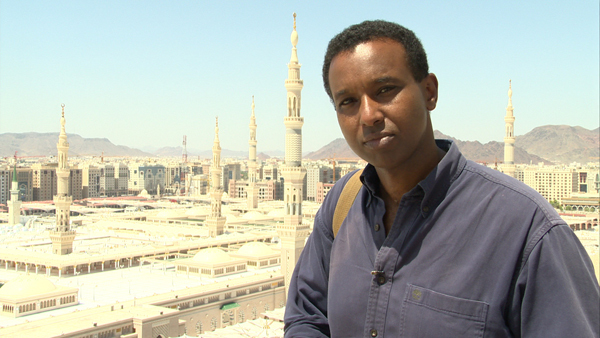 The BBC-made survey of the religion by Ragheh Omaar travels to the important capitals of the prophet and includes an engaging and lively group of scholars and commentators, even as it brings up and makes clear questions non-Muslims still harbor, from the strong reactions to depiction of Muhammad, the burning the Koran, the fatwa against Salman Rushdie, and the concepts of jihad and Shari’a law still misunderstood by non-Muslims. It all comes on a day when Al Jazeera America makes its debut on the cable dial where Current TV used to be. It’s meant to be a New York and Washington-based news organization with a bigger eye on international news. It starts with an introductory “This is Al Jazeera: Preview Hour” at 3 p.m., followed by the news at 4. The evening schedule on Al Jazeera America includes such programs as “Inside Story” (5 p.m.) with Libby Casey, the interactive show “The Stream” (8:30 p.m.), “America Tonight” (9 p.m.) with Joie Chen, and “Consider This” (10 p.m.) with Antonio Mora. And there’s at least one familiar face involved, on “Real Money with Ali Velshi” (7 p.m.). Broadcast TV is dominated by three ad-stuffed two hour reality series, from “Extreme Weight Loss” (ABC, 8 p.m.) to “So You Think You Can Dance” (Fox, 8 p.m.) and “America’s Got Talent” (NBC, 9 p.m.). Compared to that, the one hour human-hunting on “Capture” (The CW, 9 p.m.) may seem refreshingly succinct. Those a bit rusty on the first 10 episodes of “Twisted” can be updated with the summary special “Twisted: Socio Studies 101″ (ABC Family, 9 p.m.). The promotion of extreme sports figures — the only form of advertising that Red Bull does — is examined on a new “Real Sports with Bryant Gumbel” (HBO, 9 p.m.). Chris O’Donnell examines his roots on a new “Who Do You Think You Are?” (TLC, 9 p.m.). A goth couple gets advice on “Interior Therapy with Jeff Lewis” (Bravo, 0 p.m.). For new episodes of scripted series, you must turn to cable, where there is fresh material from “Pretty Little Liars” (ABC Family, 8 p.m.) and “Covert Affairs” (USA, 9 p.m.) to “Suits” (USA, 10 p.m.) and “Perception” (TNT, 10 p.m.). Robert Altman’s film about Hollywood, “The Player” (Sundance, 8 p.m.), with Tim Robbins, gets a revival. “The 99ers” (ESPN, 8 p.m.) extends the number already used in the series “Nine for IX” in celebrating the 1999 U.S. women’s soccer team that beat China in the Women’s World Cup in a penalty kick shootout. The stories of Lewis and Clark, Dolly Parton and Porter Waggoner and the Scopes Trial are all poorly retold as part of tonight’s “Drunk History” (Comedy Central, 10 p.m.), with a cast that includes Tony Hale, Aubrey Plaza and Jack McBrayer. Hattie McDaniel,the first black actor to win an Academy Award, is the star of the day on Turner Classic Movies with the whole of the four hour epic that got her the Oscar, “Gone with the Wind” (8 p.m.) taking up prime time. But she’s also featured (mostly as a maid) in such films as “Thank Your Lucky Stars” (6 a.m.), “Janie” (8:15 a.m.), “Janie Gets Married” (10 a.m.), “The Shopworn Angel” (11:30 a.m.), “The Mad Miss Manton” (1 p.m.), “The Great Lie” (2:30 p.m.), “George Washington Slept Here” (4:30 p.m.), “Saratoga” (6:15 p.m.) and, late at night, “Show Boat” (midnight), “Alice Adams” (2 a.m.) and “In This Our Life” (4 a.m.). Kelly & Michael: Jimmy Kimmel (rerun). The View: Lisa Kudrow, Natasha Lyonne, Curtis Fields (rerun). The Talk: Khloe Kardashian, Anna Chlumsky, Pat Harvey (rerun). Ellen DeGeneres: Howie Mandel, the Foo Fighters, Rick Springfield (rerun). Wendy Williams: Kerry Washington, Noah Levy, Paul Carrick Brunson (rerun). David Letterman: Louis C.K., John Legend. Jay Leno: Kate Hudson, Bob Costas, Kopecky Family Band (rerun). Jimmy Kimmel: Liam Hemsworth, Chloe Grace Moretz, the National (rerun). Jimmy Fallon: Andy Samberg, Shailene Woodley, Marcine & Nita Lou Webb, New Order (rerun). Craig Ferguson: Ethan Hawke, Jamie Chung (rerun). Carson Daly: Kevin Bacon, Ron Finley, Superhumanoids (rerun). Tavis Smiley: Booker T. Jones (rerun). John Oliver: Regis Philbin (rerun). Stephen Colbert: Sen. Sheldon Whitehouse (rerun). Conan O’Brien: Zach Galifianakis, Jim Gaffigan, Beware of Darkness (rerun). Chalsea Handler: Josh Wolf, Loni Love, Gary Valentine.